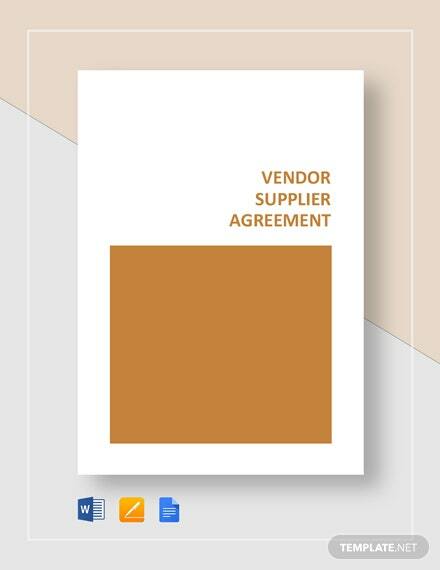 Supplier selection process can be a long and arduous process with suppliers having to undergo a lot of inspections and accreditations. 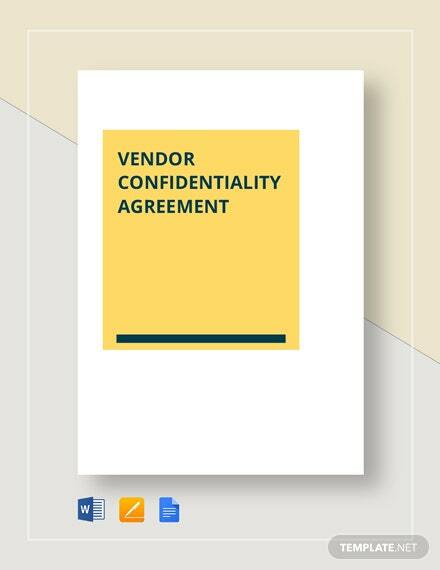 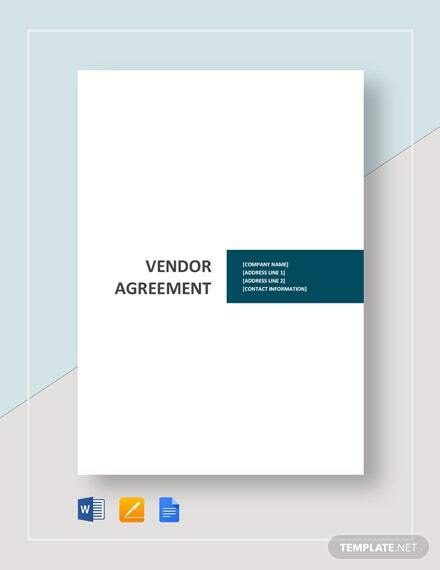 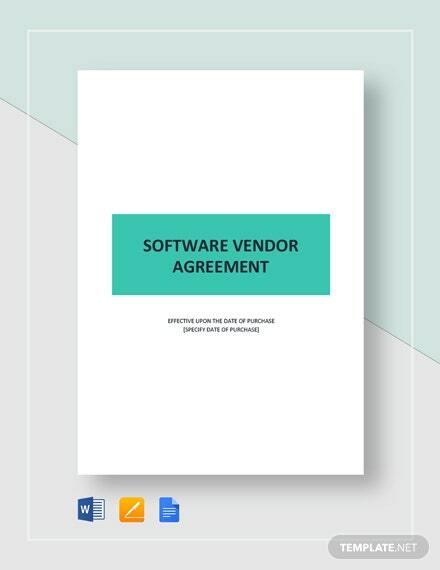 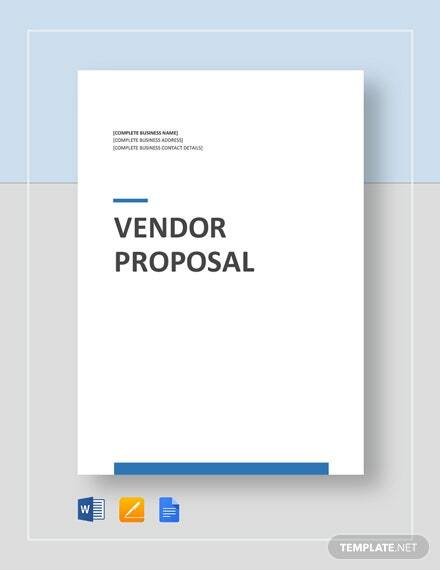 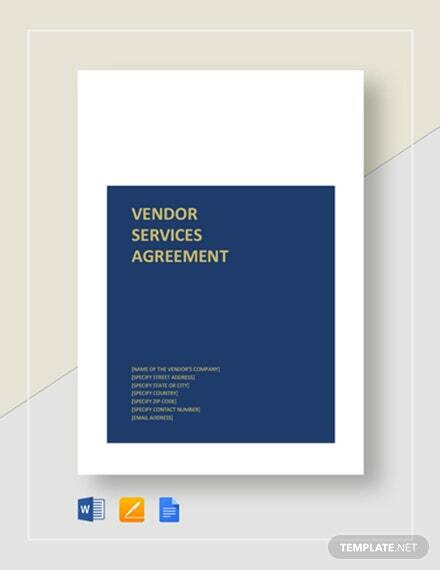 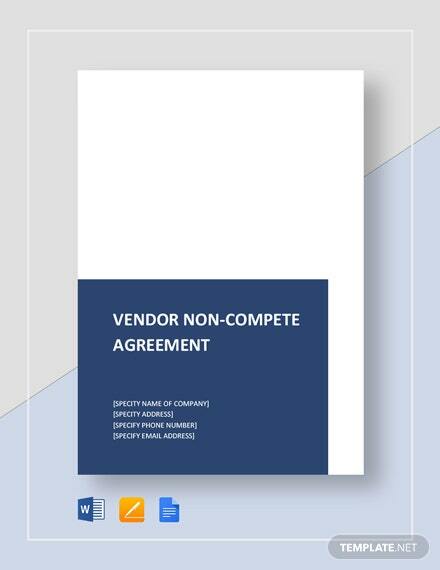 After having decided on a vendor, use our Vendor Agreement template to +More define the terms and conditions that any chosen vendor has to abide or follow. 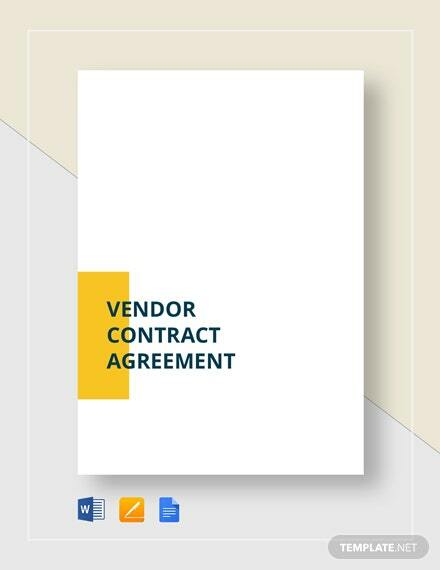 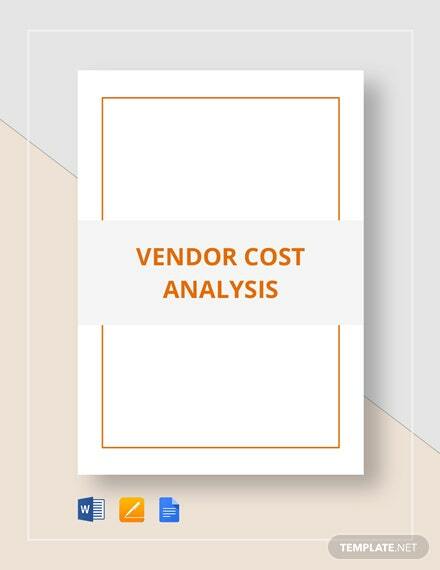 Clearly outline any vendor’s responsibilities, necessary insurance, and liabilities in this ready made and fully customizable template. 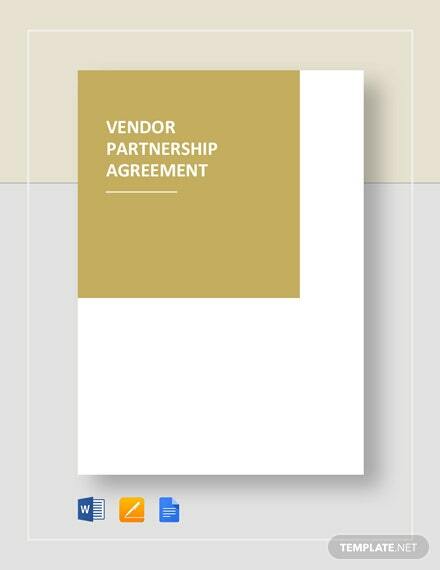 Additionally, insert any other provisions you wish to add into the agreement template. 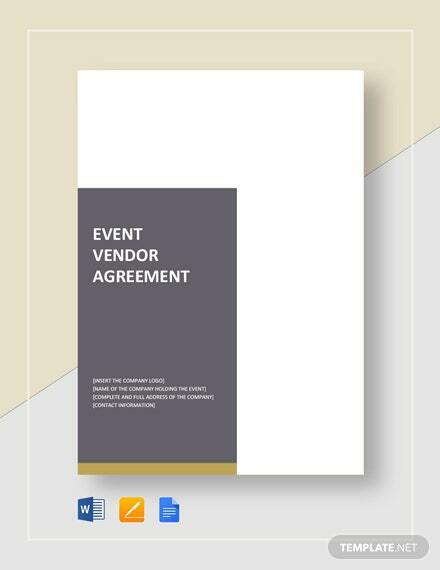 Take advantage of this great opportunity of getting your hands on this premium quality template for use in setting terms and restrictions for your suppliers or vendors.